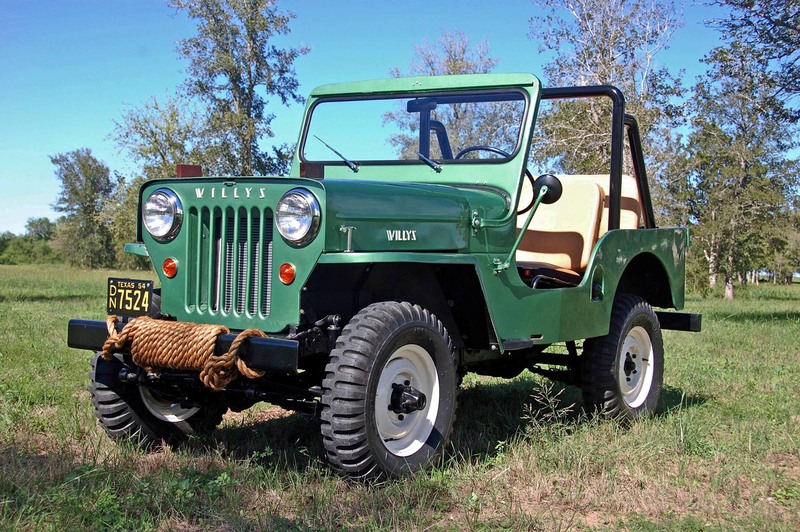 Return to the index of 1954 Jeeps. Nasir Yusuf Qureshi has a very clean '54 Willys assembled by Mahindra & Mahindra in India. He said in August 2018, "I'm located in Mumbai City -- it's my dad's last thing left to us in the family. 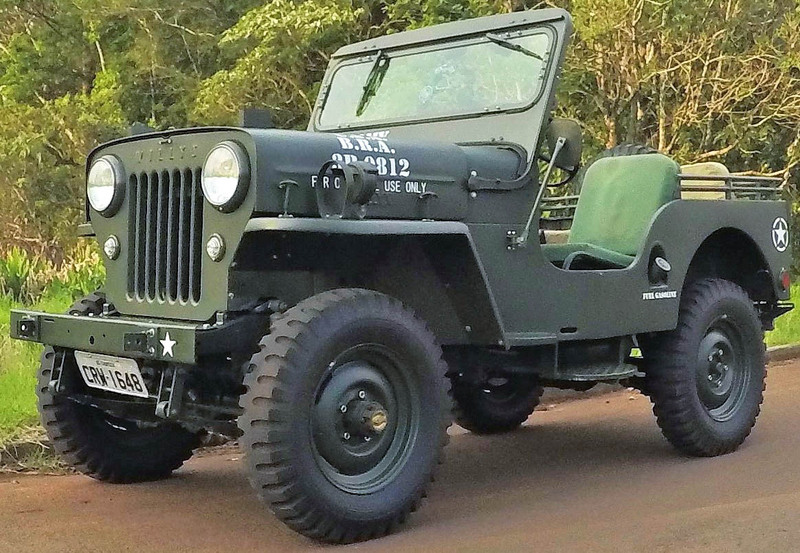 He purchased it in 1955 and the Jeep has been in the family ever since then." 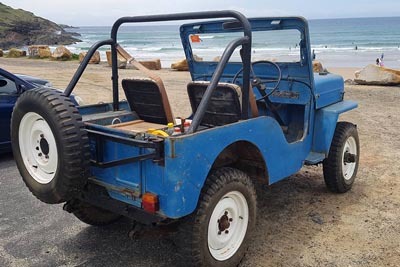 The only distinctive Mahindra features applied seem to be air vents punched in the cowl, and seats on the rear wheelwells. Somewhere along the line it also picked up a Forward Control Jeep badge on the hood. 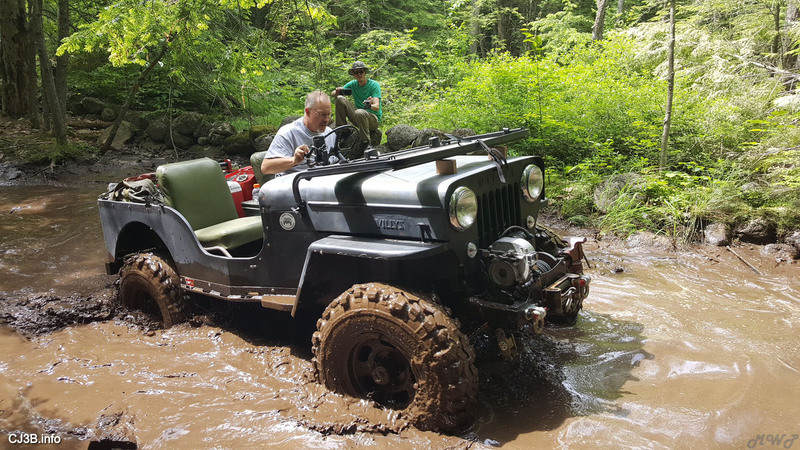 Paul Ferrari in Massachusetts sent this photo of his 3B on a Willys run in New Hampshire: "Here's my 3B in action. 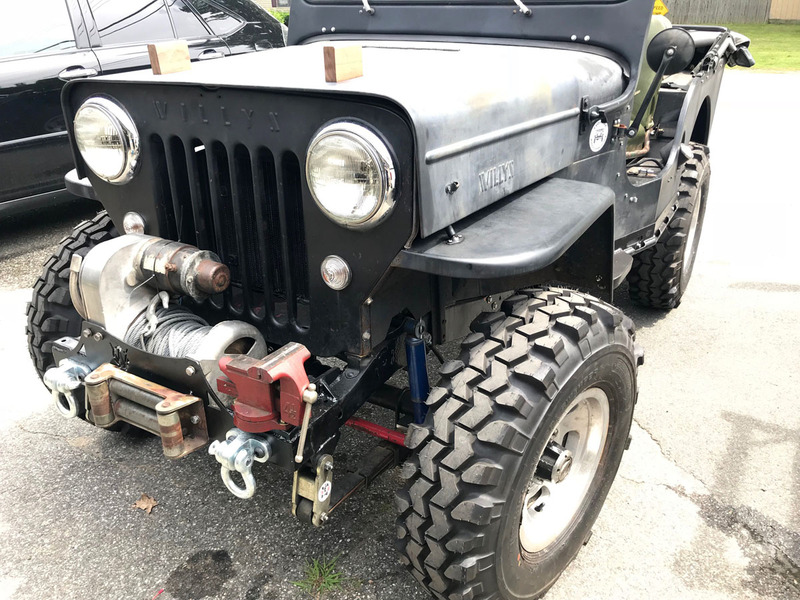 It's a '59 with stock engine and trans with Warn OD. It has lockers front and rear, York on-board air, and a Premier Power Welder under the hood." Not as high tech as the air or welder, but just as valuable when you need it on the trail, is the vice on the front bumper. 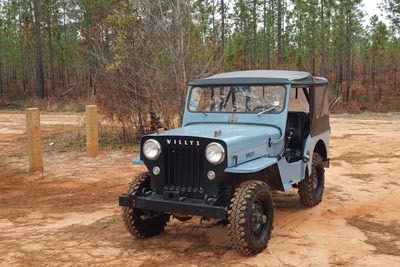 As of 2018, Paul is very active with the East Coast Willys Association and also runs a built-up CJ-3A and a beautiful CJ-7. 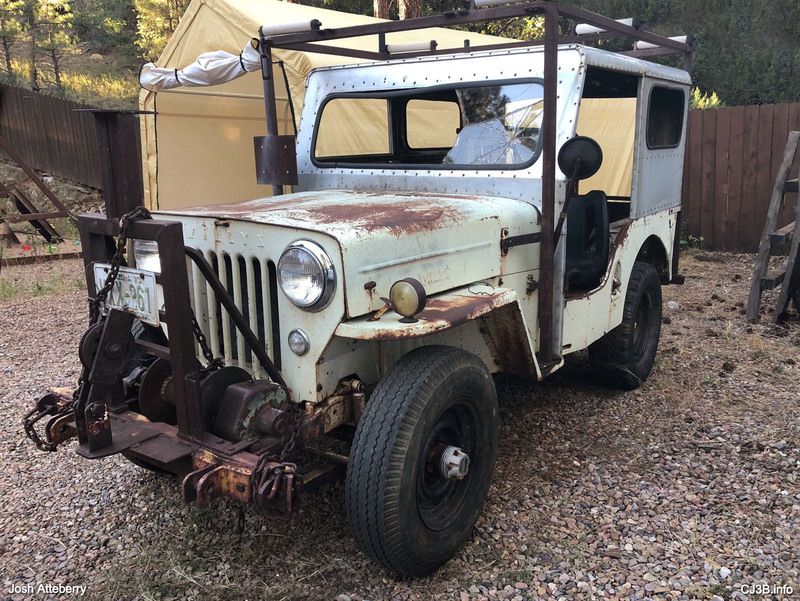 Josh wrote from Show Low, Arizona in 2018, "I recently purchased this beautiful '54. It is a confirmed two-owner vehicle; I purchased it from the original owner's son. 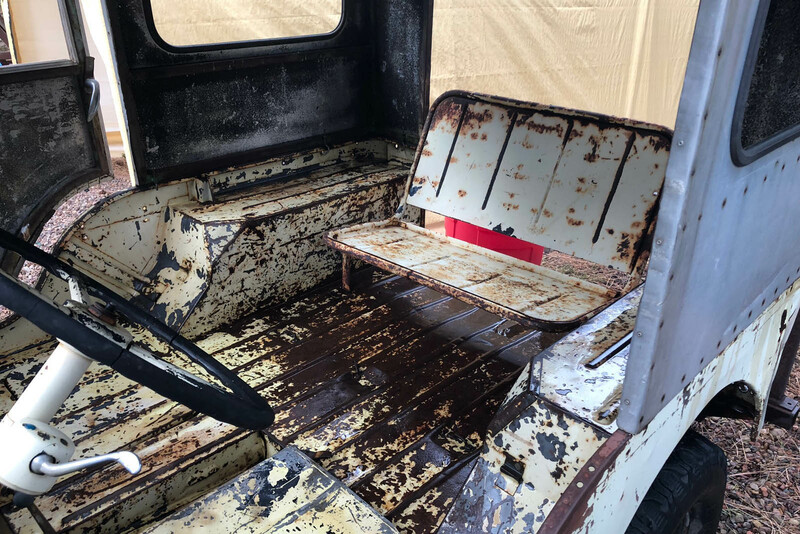 It is in great shape with zero rust besides some minor surface rust you can see in the pictures. 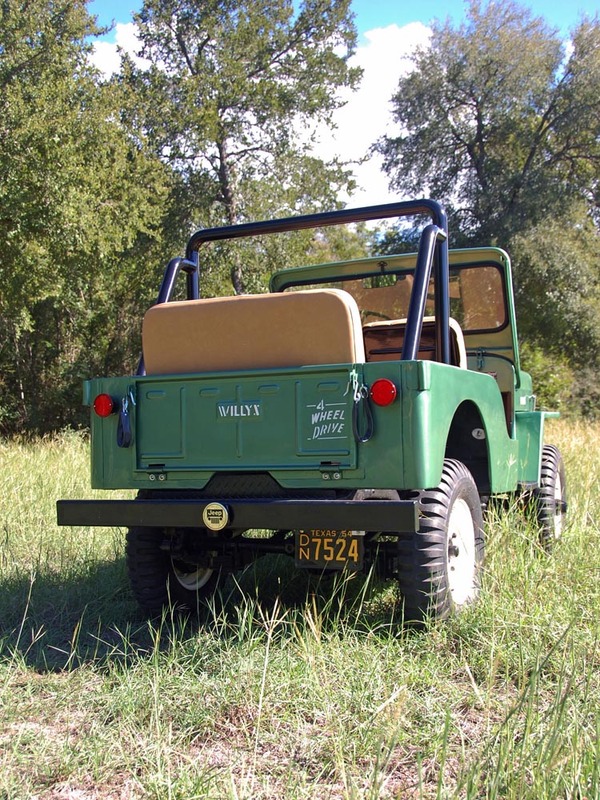 The top and rack were built for winter hunting trips and to haul their boat on the roof. It has a PTO winch which was rigged up with a pulley system to load the boat." Inside and outside have seen some repainting, but Josh says the light yellow paint appears to be original. 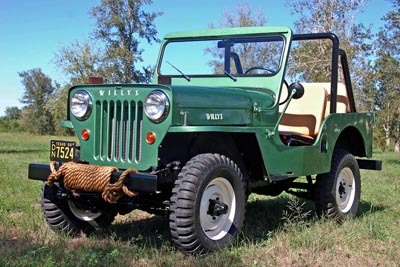 Maybe the color is Coronado Sand, which appears on some 1954 Willys paint chip sheets (see Willys Paint Samples 1953-54) but is certainly unusual on a 3B. See also the back seat (340K JPEG) and the gauges (110K JPEG). Craig is in New South Wales, Australia, and says, "This is at Gallows Beach at Coffs Harbour. 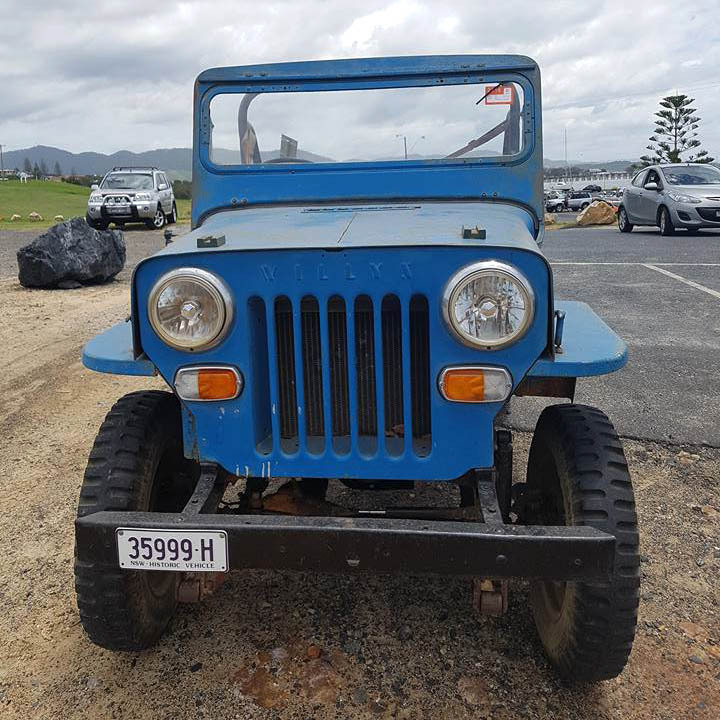 It's a 1954 model that I purchased ten years ago out of Gympie in Queensland. It was still in use on a farm, used to refuel tractors, dozers, etc. It was originally a LHD and the previous owner converted it to RHD. Body is in great shape with no rust and one small ding in RH rear quarter. 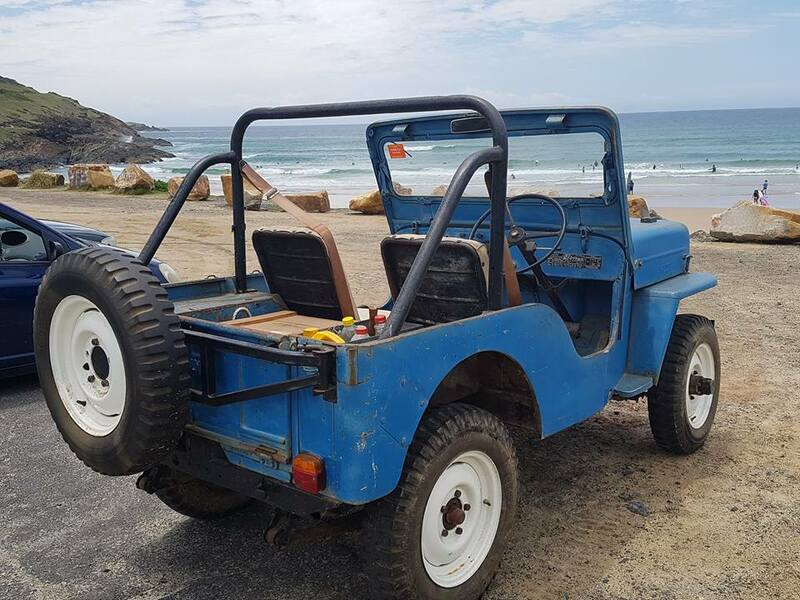 I have been working on mechanical maintenance slowly over the last ten years including universals, new brakes all round, new points, plugs, leads etc. Also new exhaust, rebuilt the carby and most recently a full gearbox rebuild. Engine is strong as ever and doesn't use any oil. I love my little 3B and will never part with it." See also a front view photo (130K JPEG). "I live in Hays NC, foothills of the Blue Ridge Mountains of North Carolina. I bought a 1954 CJ-3B s/n CJ-3BOB54-10227 in May 2017. 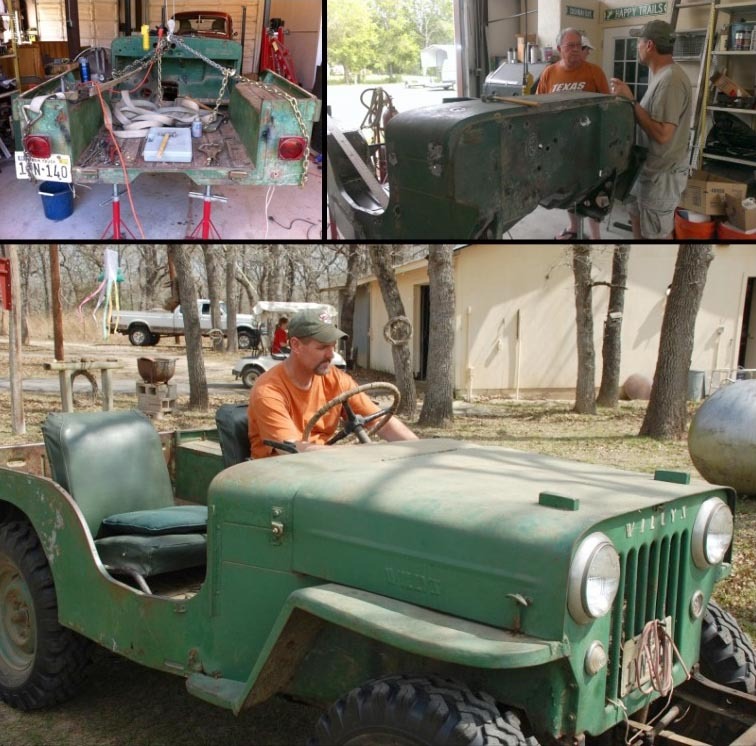 The Jeep is in very good original condition other than a very old exterior paint job." 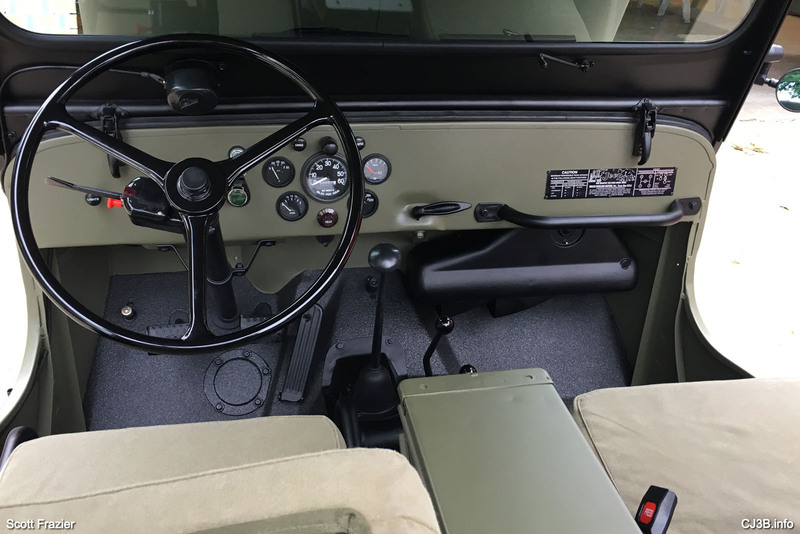 See more details on Paul's Jeep in Oh Boy! A Nice "OB" on CJ3B.info. "My name Is Jacques, and I live in Santa Catarina in southern Brasil. 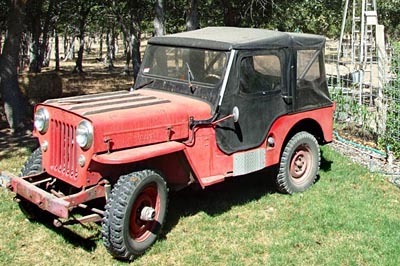 I found My 1954 CJ-3B in 1999. He was abandoned in a shipyard where my father worked. 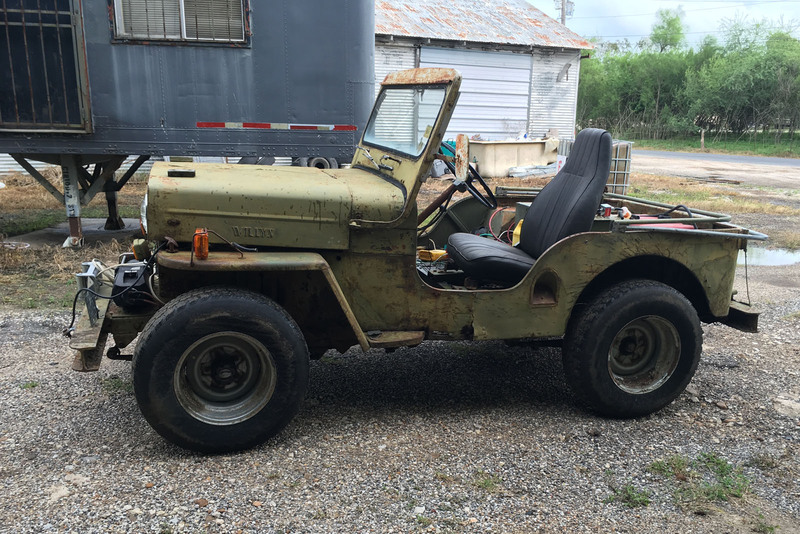 It was in bad shape, all rusted, with a 161 Willys 6-cylinder swap. I was 18 years old at that time, and we started a full restoration, ending in December 2000. I have been reading CJ3B.info since 2001 -- it has helped me a lot! "In 2003 I installed a 4-cylinder ethanol turbocharged engine -- save the planet! 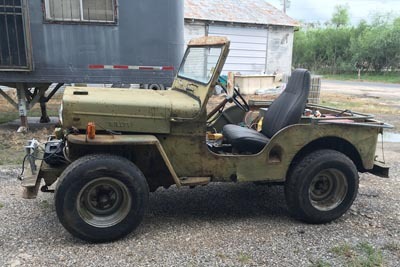 Also a 5-speed Clark gearbox with Willys transfer case. Other improvemets: power steering, disk brakes, new suspension system with anti-roll bar, leather Recaro seats, roll cage and canvas softop. 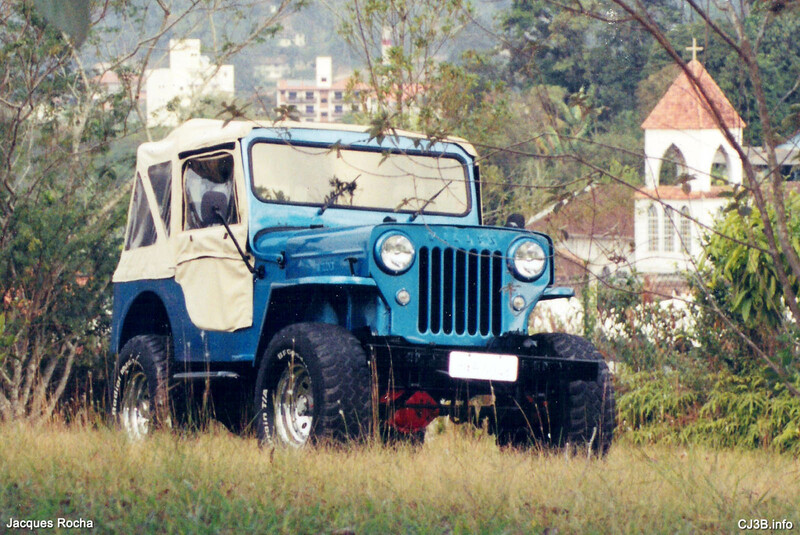 Clóvis is another Jeep owner in Santa Catarina, Brasil. He writes in 2017, "I am from Chapecó in Santa Catarina state. 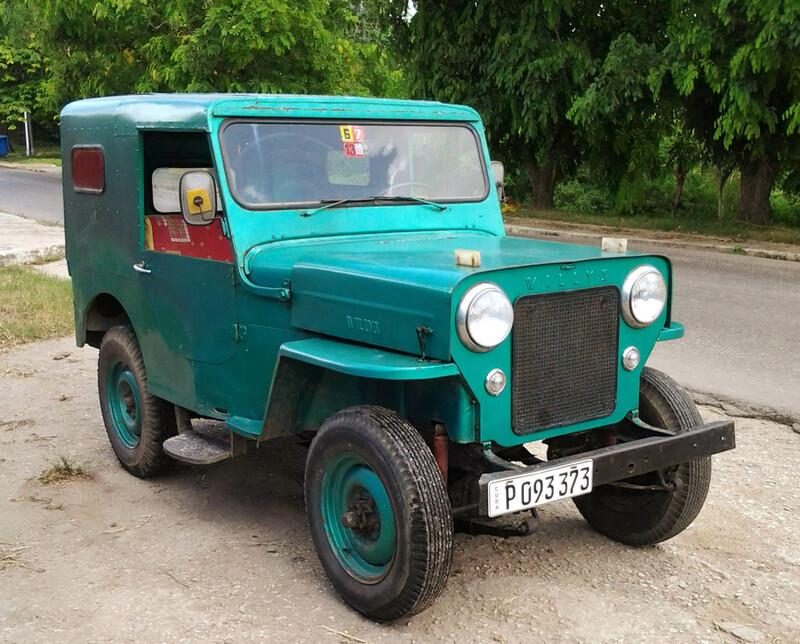 I am sending images of my militarized CJ-3B 1954, which originally was imported from the USA for use in agriculture. 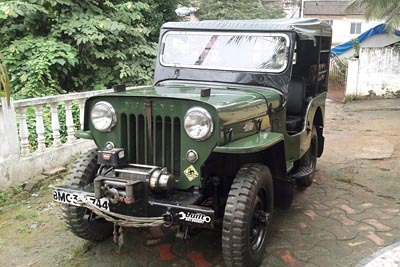 I have owned it for 5 years, and it has the original 4-cylinder Hurricane engine, with 3 speeds and 4x4. 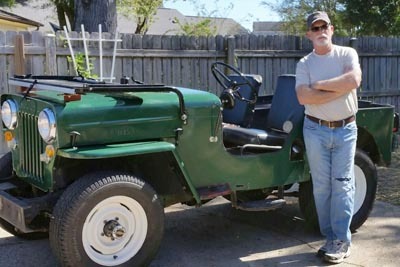 Less than a year ago I restored it, installing military accessories and changing the color of the paint to Olive Drab." 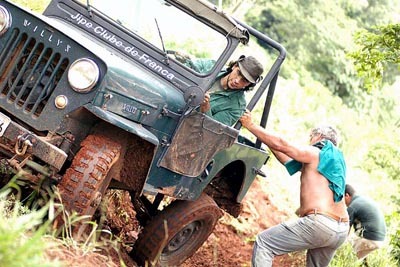 See more photos in Gone Military in Brasil. 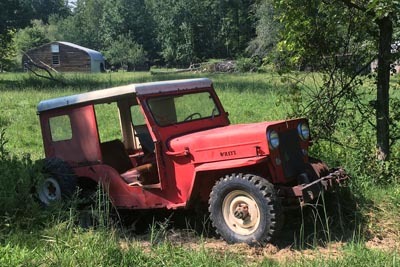 Jon sent this nice photo from Georgia, and says, "The VIN from my '54 CJ is 454GB2 27303. 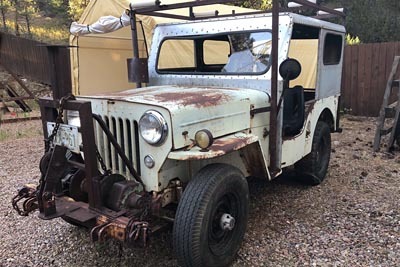 Some time after new it was used as a hunting Jeep in Utah and Colorado, until the head gasket went out in 1976. 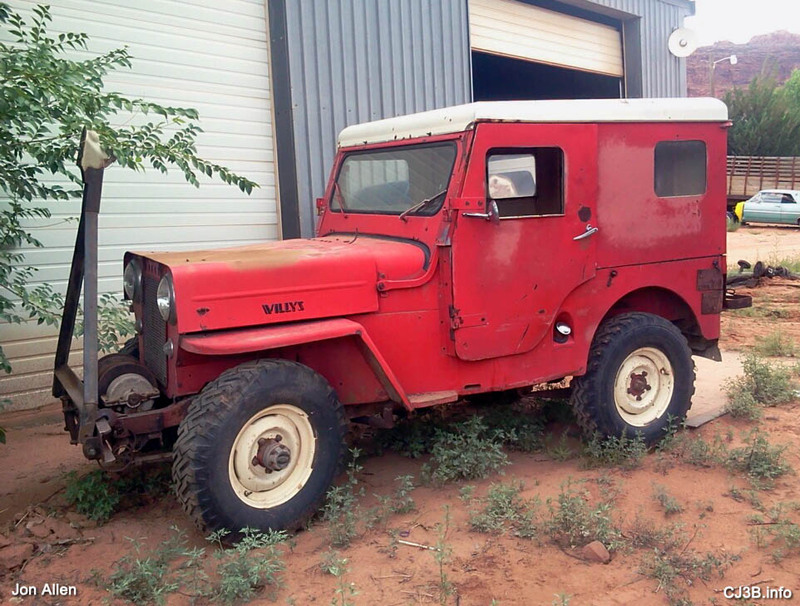 It was parked in a shop in Moab from 1976 until I bought it in 2013. It now resides in Georgia. "I took this picture when I pulled it out of the shop. First time in daylight in over 35 years. 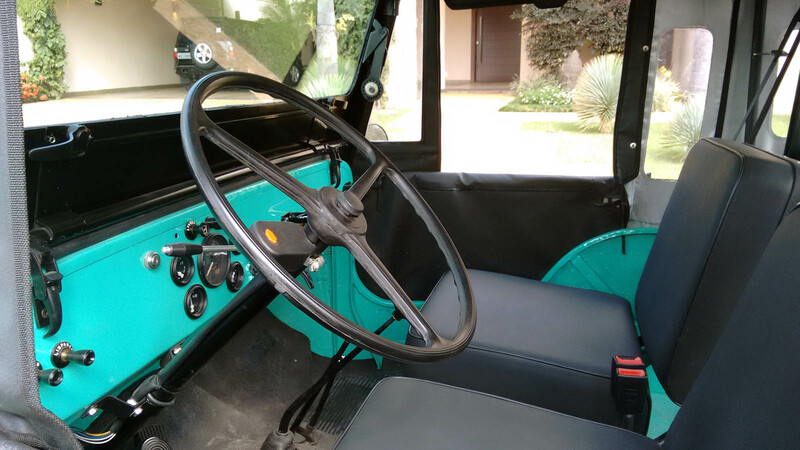 "It has an under dash heater, full cab, and PTO winch on the front. I'm guessing that the heater is factory and the others are aftermarket. 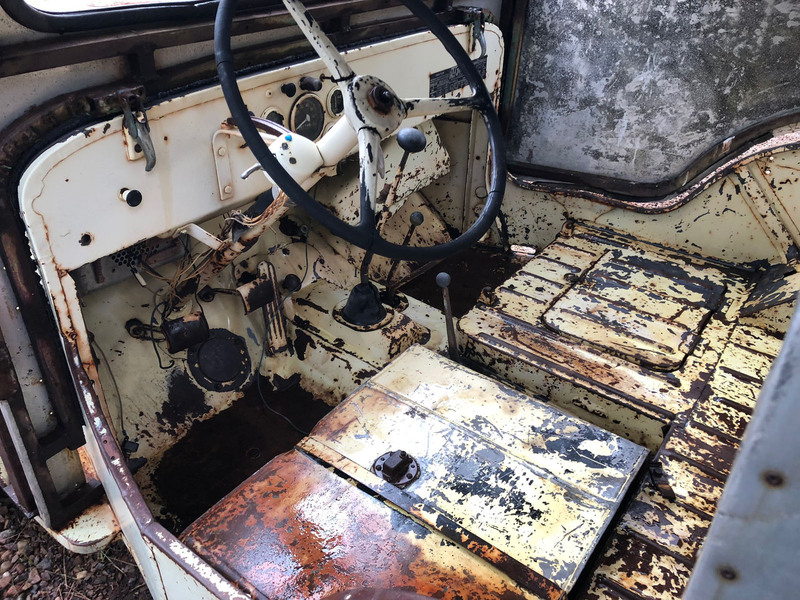 I have no plans to restore it cosmetically. 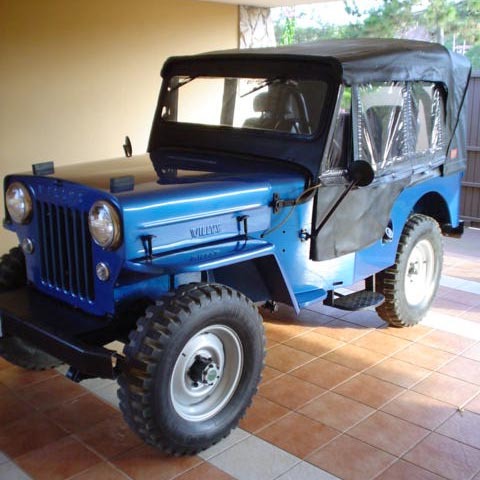 I'm going through the mechanicals and then I'm going use it as a fishing and prospecting Jeep." 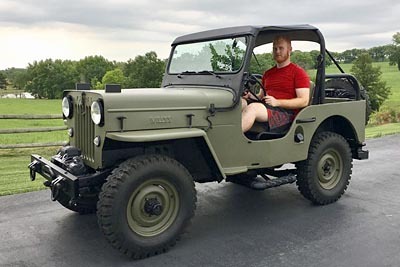 Scott is from Gower, Missouri, a small town about 30 miles north of Kansas City MO, and he and his two sons spent the last year and a half doing a complete restoration of this Jeep as a father and sons project. Scott's son Ben is seen here on the first test drive after the project was completed in summer 2017. 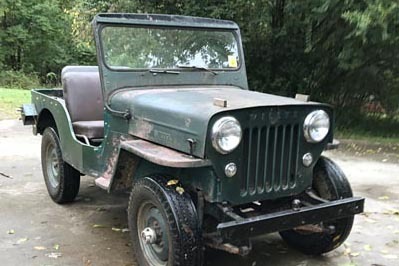 According to Scott, "This CJ-3B was used on a farm most of its life and was well worn by the time we acquired it. 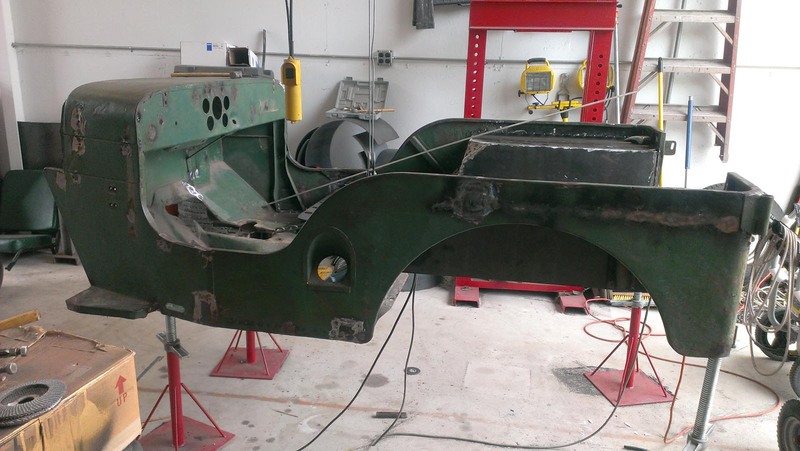 We tore down every nut and bolt during this frame off restoration and completely restored the entire drivetrain which was in dire need of some attention." 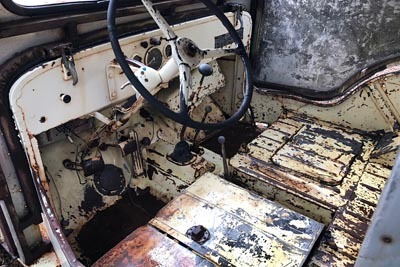 The attention to detail in the engine compartment and the Jeep's interior (220K JPEG) is remarkable. Scott says, "We converted the Jeep to a 12 volt system and installed a fuse panel to run the electrical system. 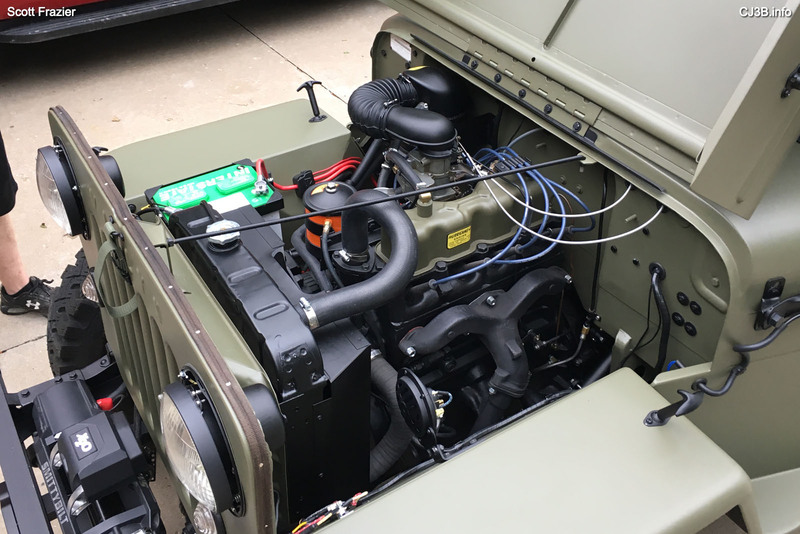 We installed a 12 volt motor in the heater that came in it, converted the driver side windshield wiper to electric, and added a 12 volt charging port as my sons could not fathom a vehicle that could not charge your cell phone." 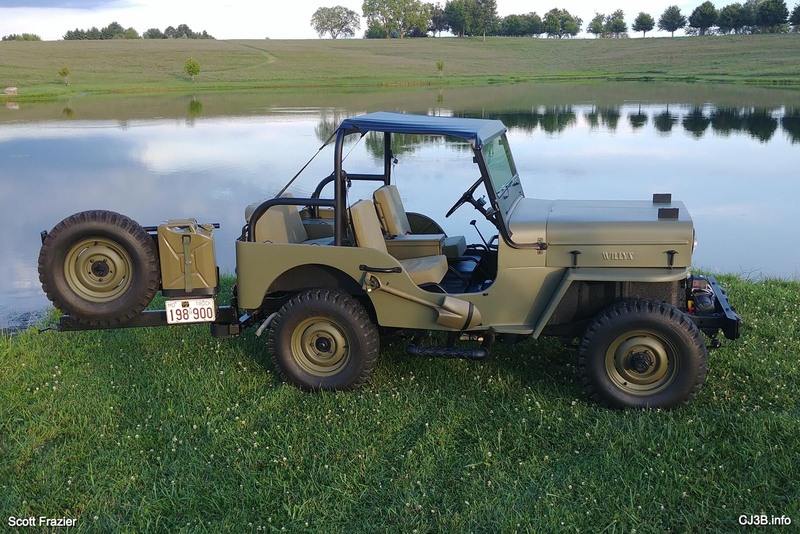 "One of my sons did not like the look of the spare tire on the side of the body and wanted the spare tire and a Jerry can mounted on the back like a military model. We decided to build our own rear gate that holds the spare tire, Jerry can, jack, and also has a ammo can tool box hidden behind the license plate. 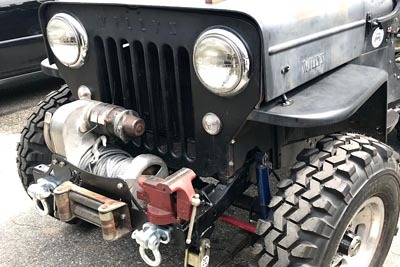 "We also built our own heavy duty side steps that mount to the frame instead of the body; this is turn caused us to stiffen the frame to handle the torque these steps transferred to the frame when you stood on them." "My name is Alejandro Alfonso Hernández and I'm from Havana, Cuba. 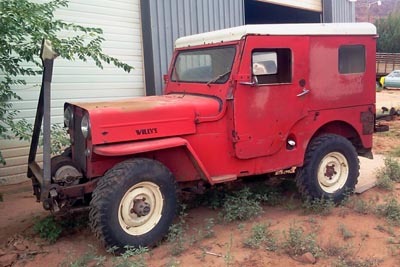 I'm a proud owner of a 1954 CJ-3B Willys Jeep, serial number OB54 12148. 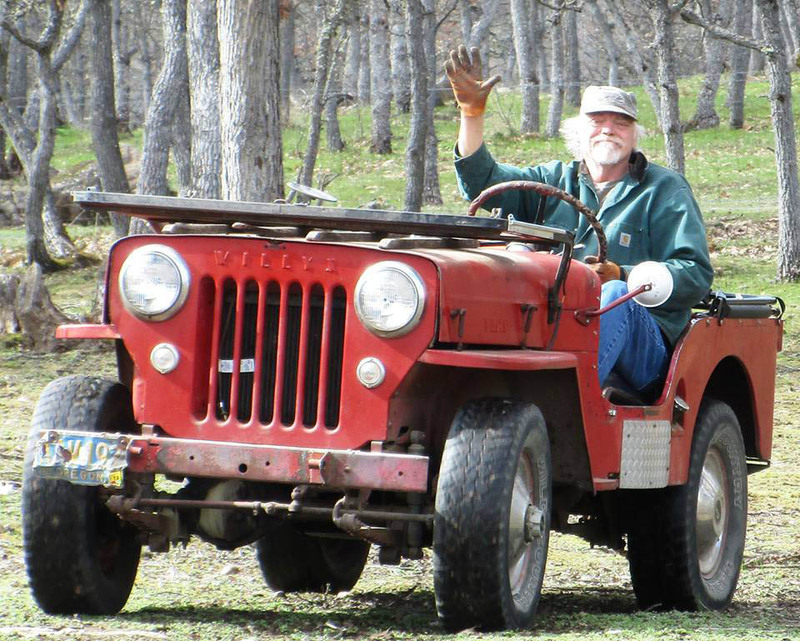 My grandfather bought the Jeep in December 16 1953 to work in his farm. 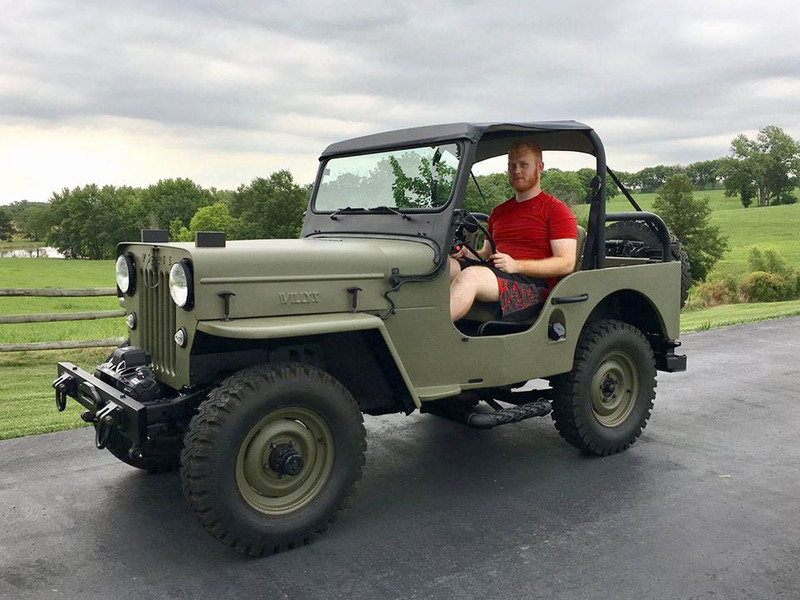 It is very important to me keeping the Jeep the most original I can. 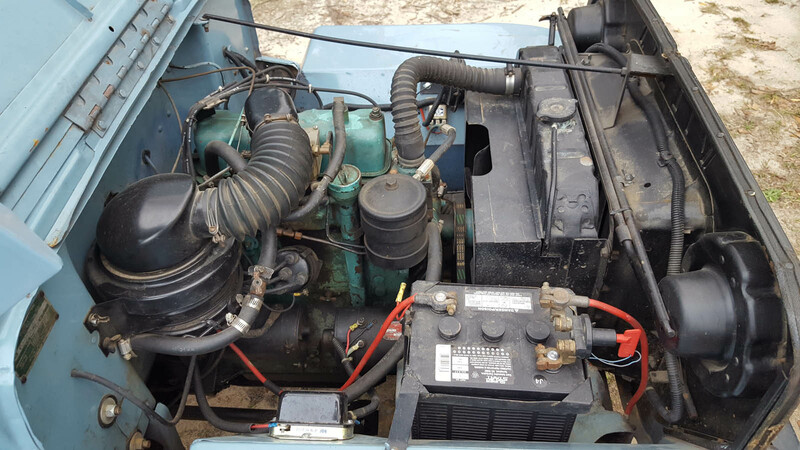 Everything works except the fuel indicator due to a failure on the fuel sending unit." 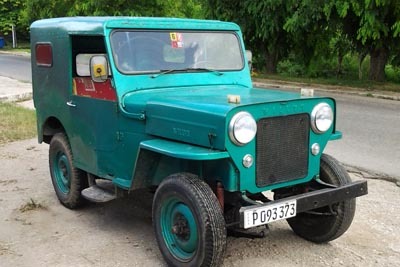 See the whole story and more photos of this painstakingly maintained family Jeep, in High Hood in Havana. "My name is Marcelo Marchiodi, from Brasil -- I live in Franca, state of São Paulo. 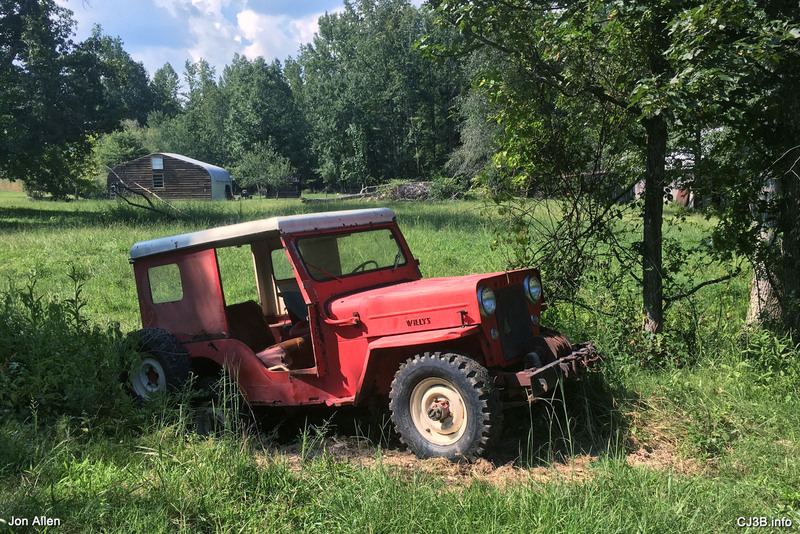 I have had a CJ-3B since 1996, but started on trails only on 2001. 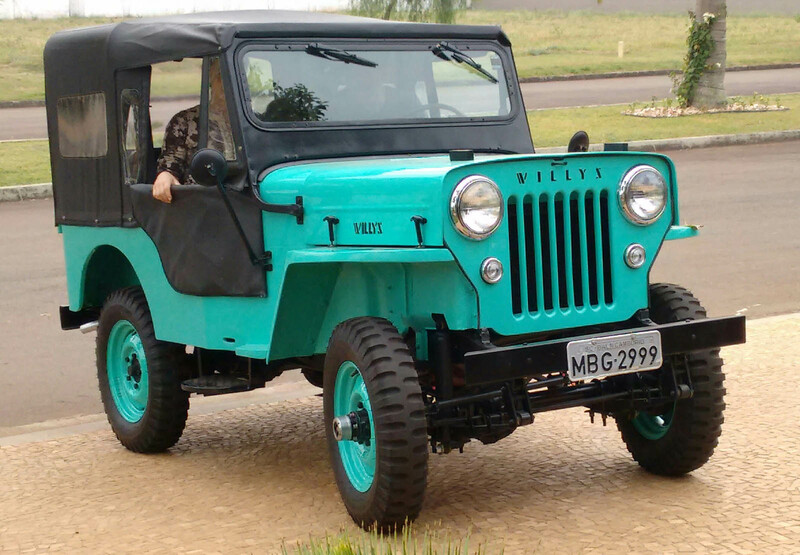 It's a 1954 CJ-3B, with 4-litre, 6-cylinder engine from GM Opala, very reliable engine swap here in Brasil. "At the moment I am rebuilding everything, same GM Opala engine, but with more horsepower, changed the tires to 750-16 Pirelli 'Candango', and will paint it olive drab from Vietnam era. 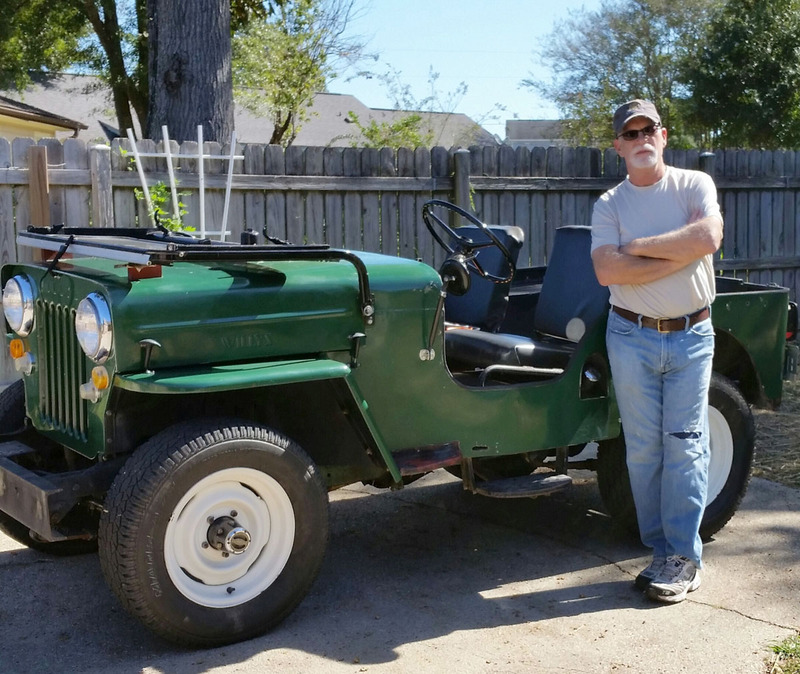 "I drove my Jeep a lot until 2012, when I had to stop for rebuilding. I'm sending some pictures from that time -- no 2016 pictures yet. The photos are on the trail (450K JPEG), in the water (70K JPEG), and a rear view (230K JPEG) just before the rebuild. "Keep up the good work on CJ3B.info! Just for curiosity, your site was the first one I saw on the internet in 1998!" 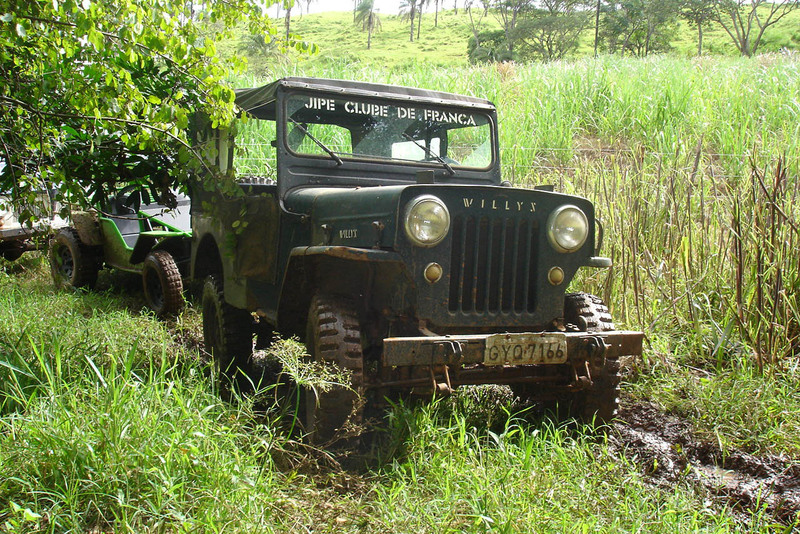 "I purchased a 1954 CJ-3B in 1973, originally painted in blue (50K JPEG), when I was still a geology student in Sao Paulo State, Brazil. 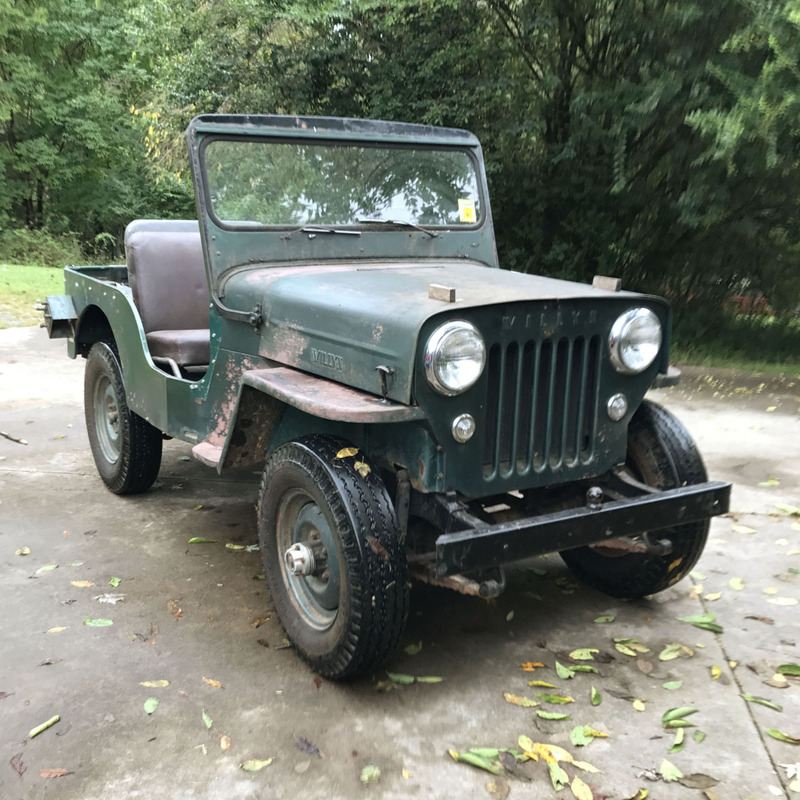 When I graduated and got a job, I left my city and I sold the Jeep in 1979 to a friend of mine, with one condition: if he decided to sell the Jeep, I would have preference to buy it. "So, I bought it again and since then, I took the Jeep around Brazil wherever I worked. When I was living in South Brazil I had to move north again, and I had to leave it standing for 12 years. 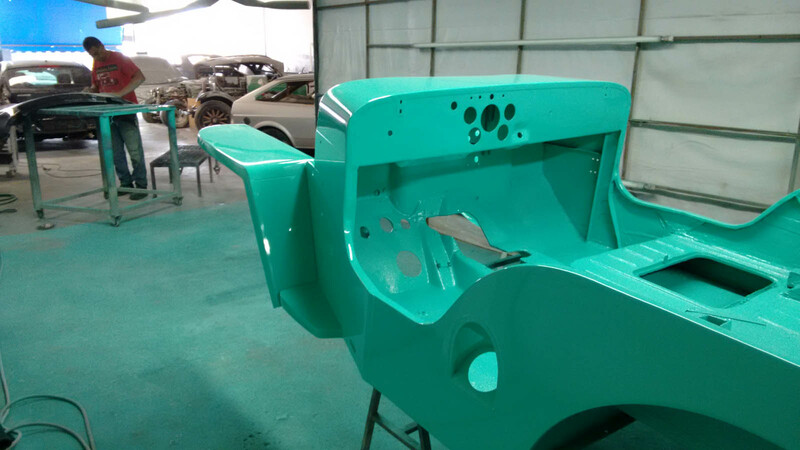 In 2014 I decided to restore it to the original condition, and after 18 months, it was ready, painted with Beryl Green (130K JPEG), an original CJ-3B color. "I am transferring the registration to Sao Paulo state again, since I returned to my hometown where I work as a consultant. In the inspection, for state transference, we did not find the frame number, on the right side, that was suposed to be the same. As the engine, a Hurricane in perfect condition (190K JPEG), is original, I did not have trouble transferring it. 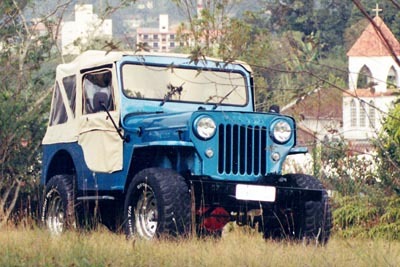 That's a CJ-3B 43-year history!" "I live in Texas. 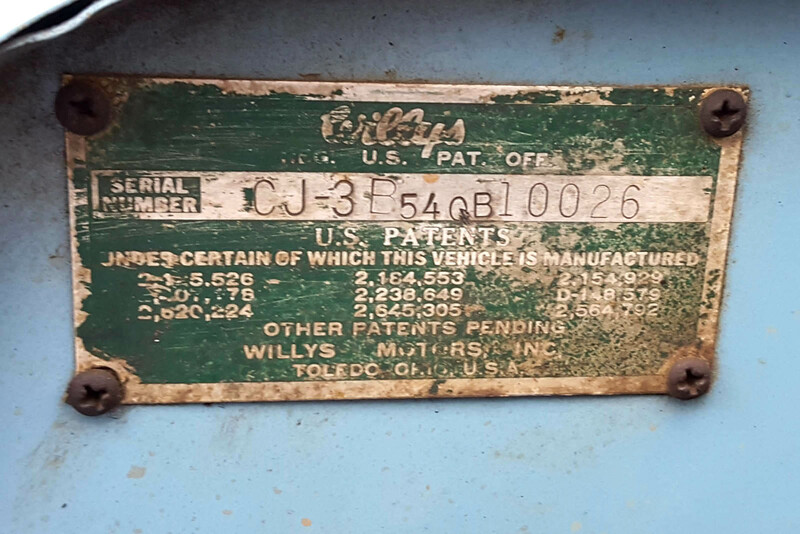 I recently purchased a 1954 Willys, serial number tag shows 454 GB2 41127. Engine serial number I have shows "1T41301" which is puzzling based on the other numbers I see in the list. I'm sure it is a 134, just don't know if maybe it was originally out of a truck..."
"We are in Seguin, Texas. 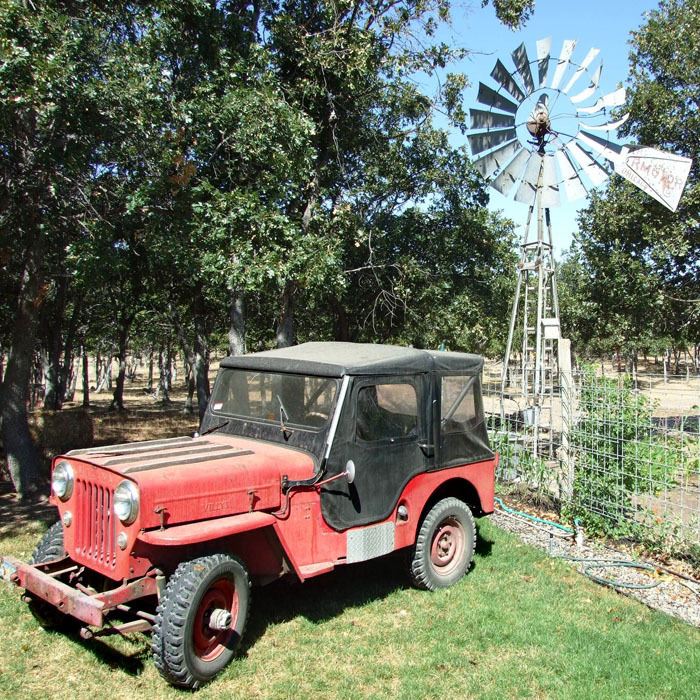 John's parents bought the '54 CJ-3B in 1985 and they used it on their farm. 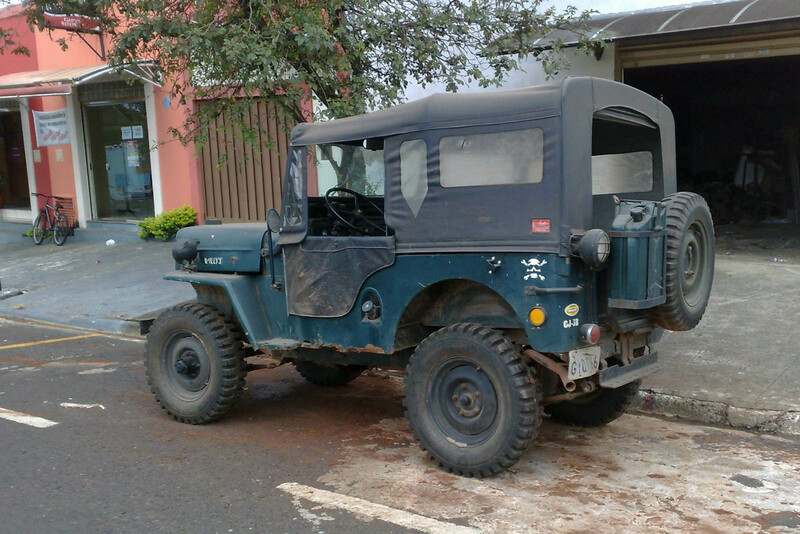 John bought it in 2011 and it was restored in 2013. 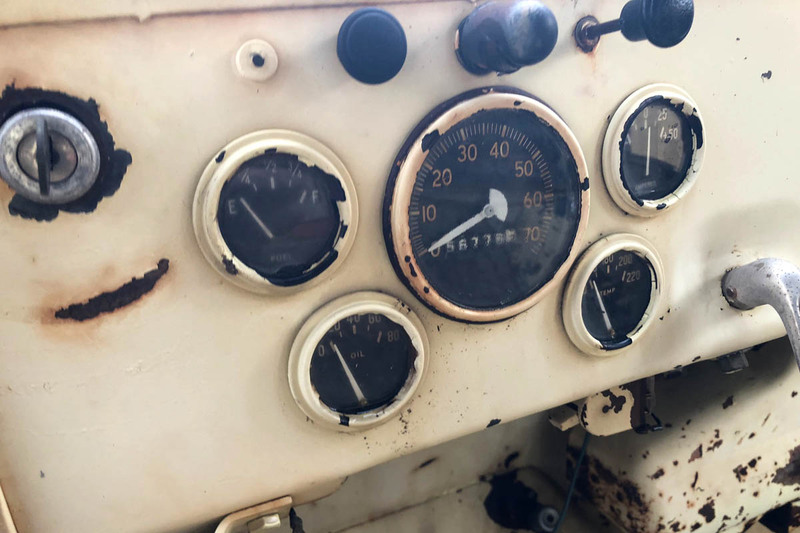 The engine is original, but we had it rebuilt during the restoration. It was changed from a 6-volt to 12-volt system. Serial number is 454GB2 37651." See more photos: a rear view (270K JPEG), some before shots (120K JPEG), and the tub (180K JPEG). William posted on the CJ-3B Bulletin Board in early 2016: "I live near Pensacola in the northwest area of the panhandle of Florida. A few weeks ago I drove to St. Louis to purchase a new 3B. It is still 6-volt and completely stock except for the springs. "I've spent the last few days driving around the area near my house. We have a few thousand miles of secondary and two-track dirt roads nearby. So far I've driven it about 500 miles and I'm thoroughly pleased with how it has performed. 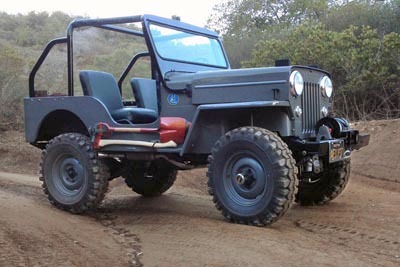 The CJ-3B is truly an elegant, well-designed machine. 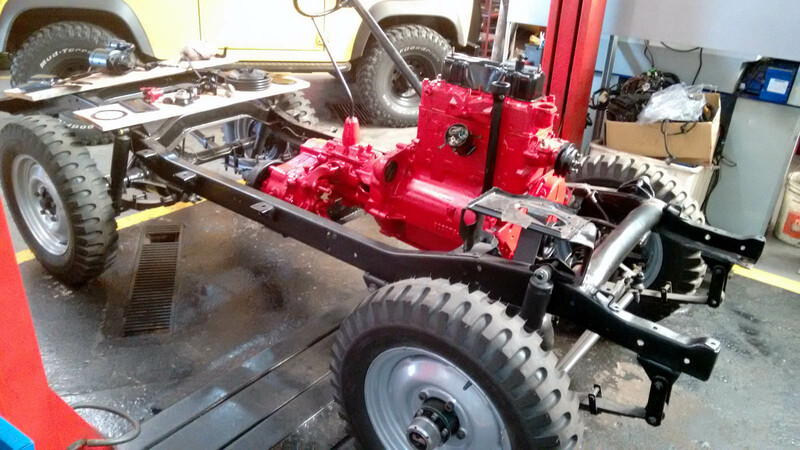 "I plan on upgrading the front brakes to 11-inch, and changing the stock steering linkage to one-piece tie rod. I also want to install an overdrive. 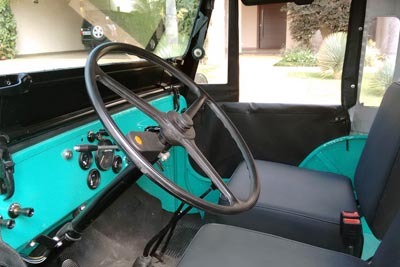 Occasionally I will need to drive it short distances at 60 miles an hour to make it safely from place to place in the area." 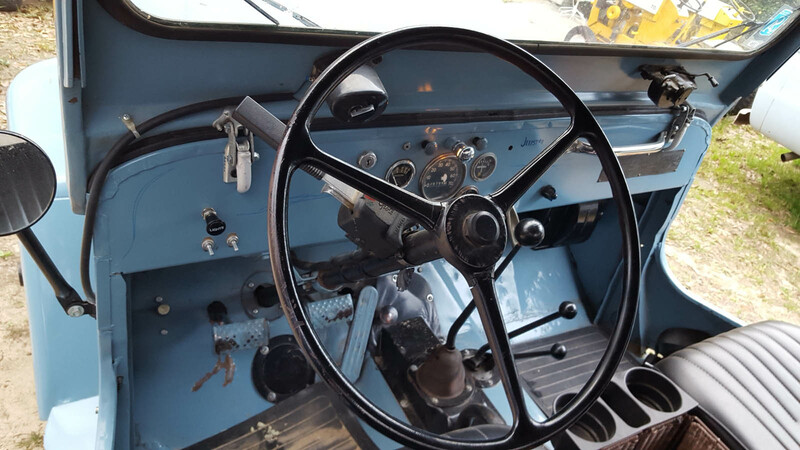 See also photos of the engine (200K JPEG) and the dashboard (170K JPEG). 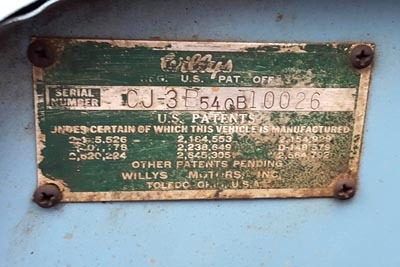 Curt is in The Dalles, Oregon, and doesn't have the serial number for his 3B, but the engine number 4J44457 would be from 1954. The hood has four wooden strips which look like they might be designed for strapping cargo up there. 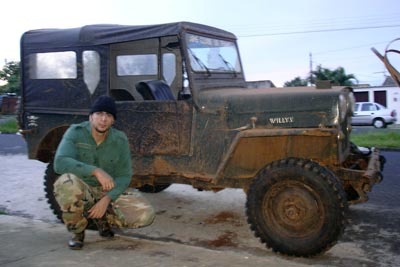 Curt says, "I've had this Jeep for 15 years or so. Haven't done much to it. It's all stock, original paint, original spark plugs. Was bought by the original owner in La Grande, Oregon in 1954. Spent much of its life on an eastern Oregon ranch. I bought a Warn overdrive years ago but never got it installed. "Every year we collect winter limbs. Often requires two or three bonfires. CJ-3B helps me skid them from out back. Mostly just use it to get the paper on weekends. I sure have enjoyed owning it. 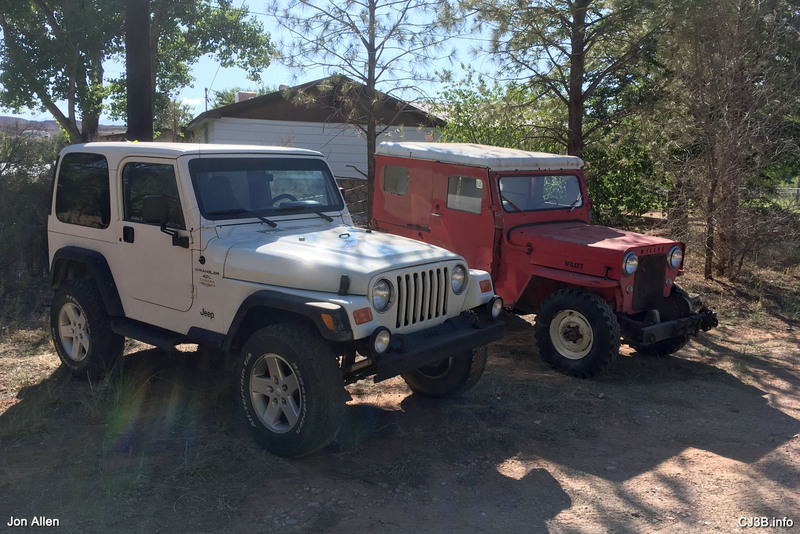 I also have a 1972 CJ-5 Renegade, a 1978 stock CJ-5 without the roll bar option, a 1979 Silver Aniversary CJ-5 Renegade, and a 1965 Toyota FJ40." Paul finished rebuilding this '54 in Hollister, California in 2014. 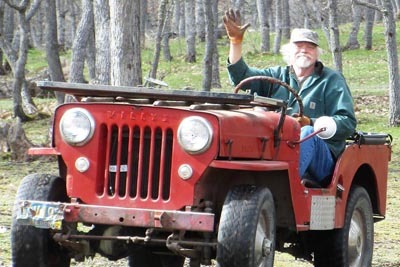 He says, "This was an old ranch Jeep from northern California. I did a complete build (90% original.) Used a new tub from 20 years ago that I picked up from the Philippines. Thanks for having such a great site. 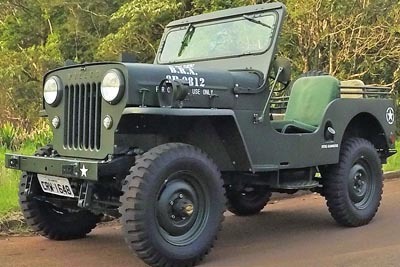 I've used it as a reference for building this Jeep. Now we're ready for the Rubicon Trail in July." Update as of early 2016: the Jeep has now been through the Rubicon (160K JPEG) twice and is heading there again this year. 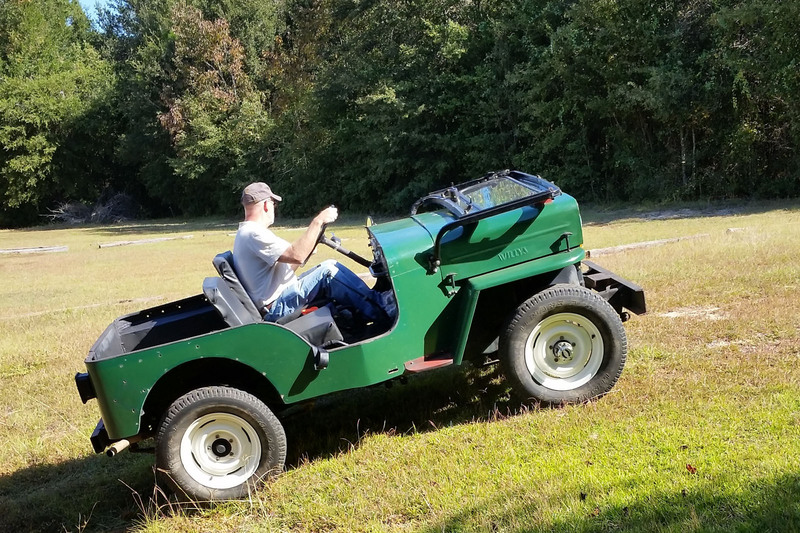 Pete says, "I bought my CJ3B on August 4, 2015, here in Pensacola, Florida. According to the guy I bought it from, he had bought it two years ago from his father, who lives in Michigan. His father bought it about 10 years previous to that, from the original owner who lived in Montana. The serial number is 454GB2 17604. 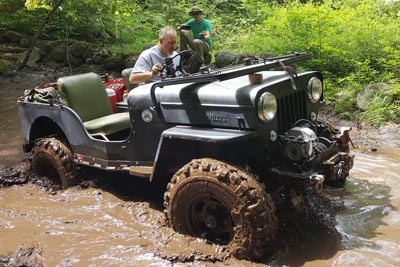 "This makes the fourth Jeep I have owned in my life. My first was a 1974 AMC with a V8, then a 1952 M38, and the last one I had was a 1945 MB. 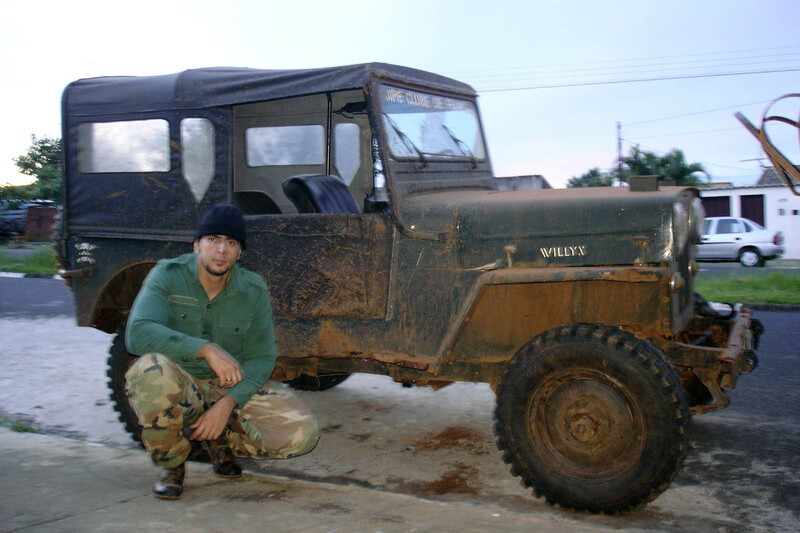 "I am in the process of going over the Jeep, looking for things that are not working, i.e. instrument lighting. Headlights, taillights, brake lights, etc. are all working, but not instrument lights. I know I need to check bulbs first, but haven't gotten that far. 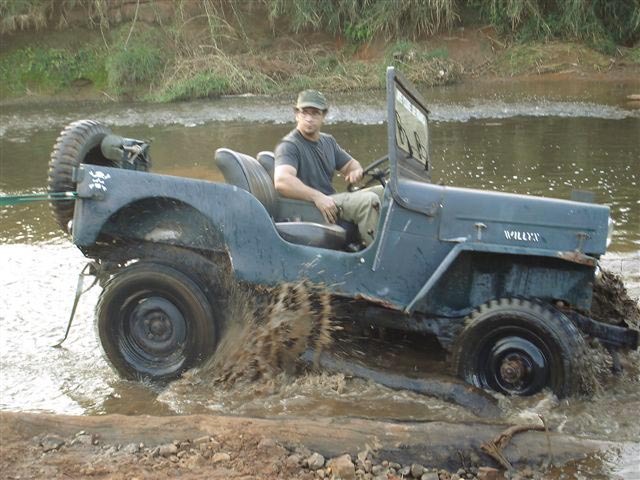 The Jeep seems to run fine, brakes work, so that's good for now."